Prime location for commercial business with 22,800 cars passing daily! 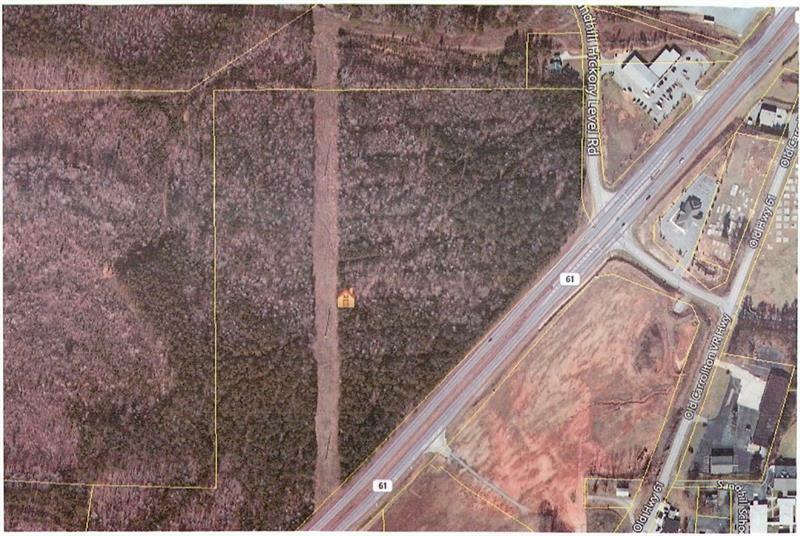 Corner lot bounded on the east side by Hwy 61 & north side by Sandhill-Hickory Level Rd, both which connect directly to I-20. Hwy 61 is the main connector from Villa Rica to Carrollton. Close to Dollar General, Subway and Tanner Medical building. Fairfield Plantation is 2 miles away with 1,750 homes, 200 condos and a population of 5,000 people. It is estimated that 9,000 vehicles go in and out of this subdivision gate daily. Macedonia Baptist Church in close proximity has a membership of 1,500.